Parsis, like many other religious groups. 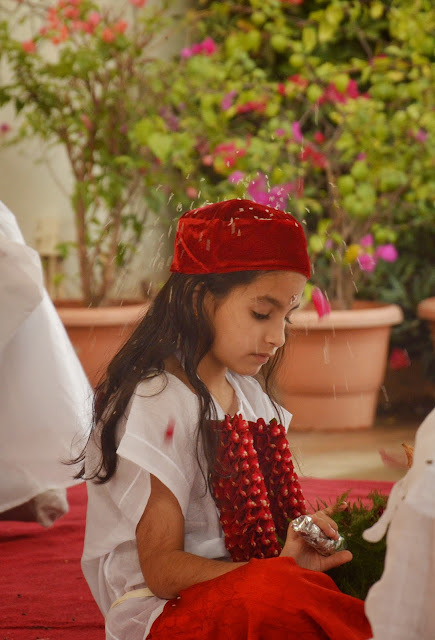 have an initiation ceremony where the child is accepted into the religious fold and can formally practice the religion thereafter. 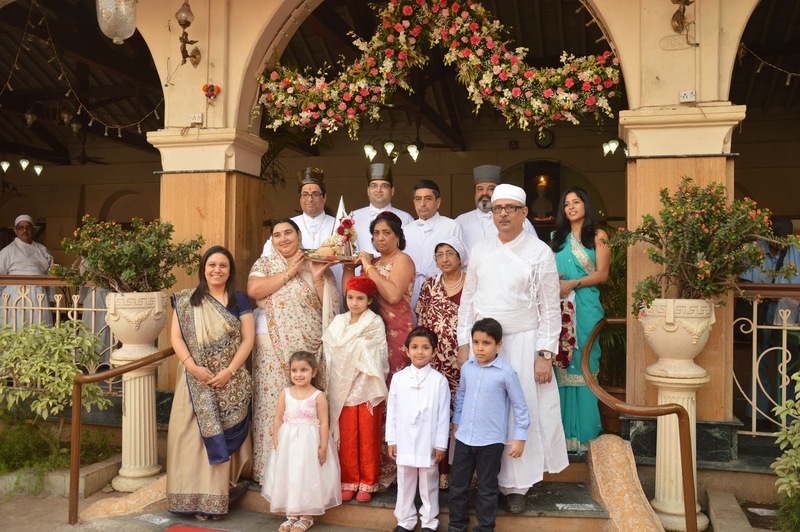 This ceremony, the Navjote, is one that is much anticipated by all Parsi parents. 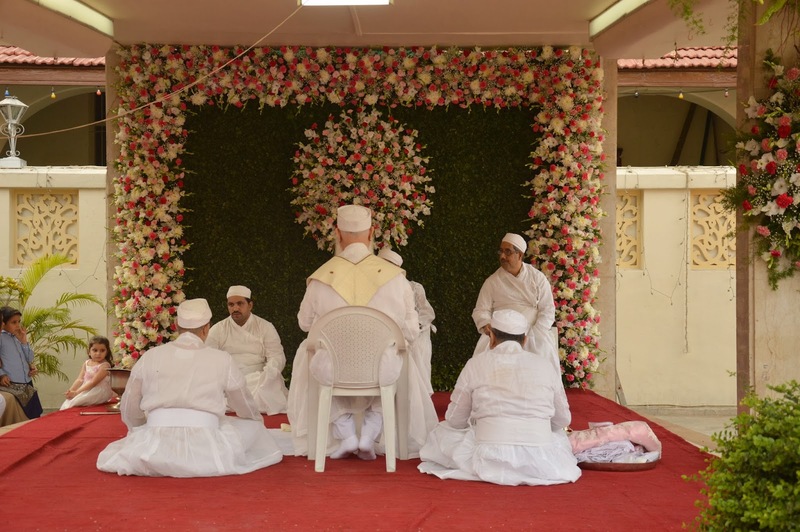 It is a very important sacrament and preparations begin up to a year in advance. 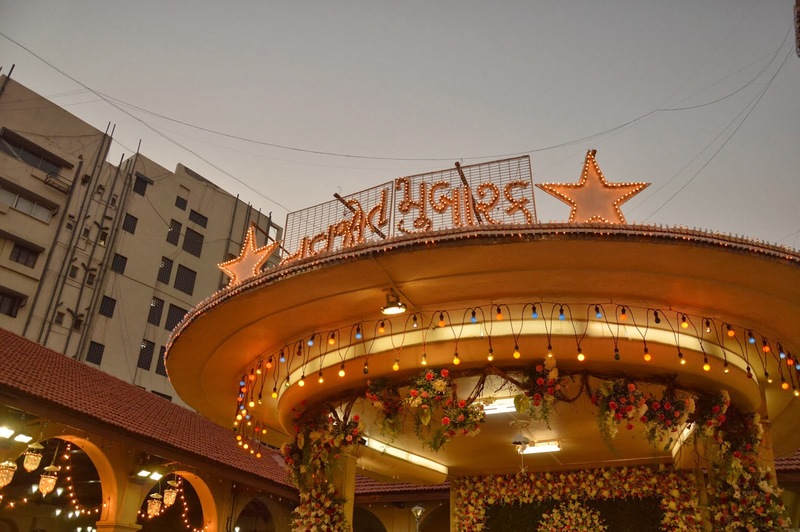 It was the same in our family as the the oldest child among the nieces and nephews approached the requisite age and we started gearing up for the big event. 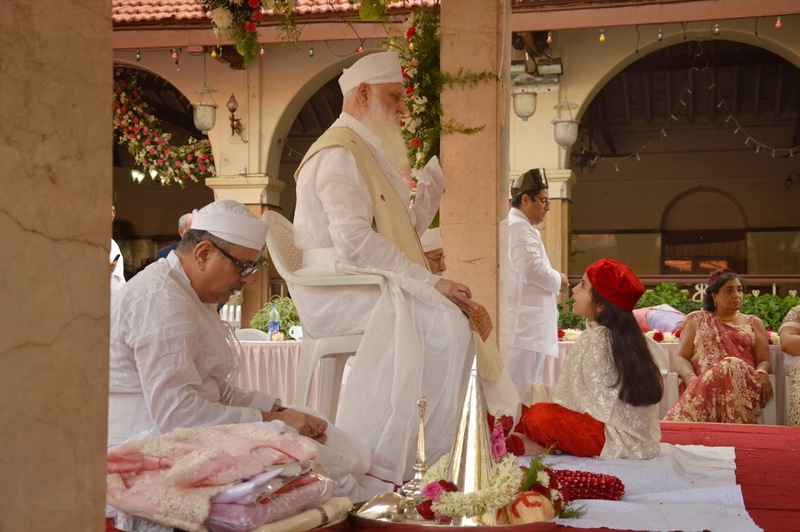 The Baug (traditional community spaces used by the Parsis for weddings, Navjotes and other celebrations) was booked, guest lists were made, menus were discussed and the child was taught her prayers for the big event. 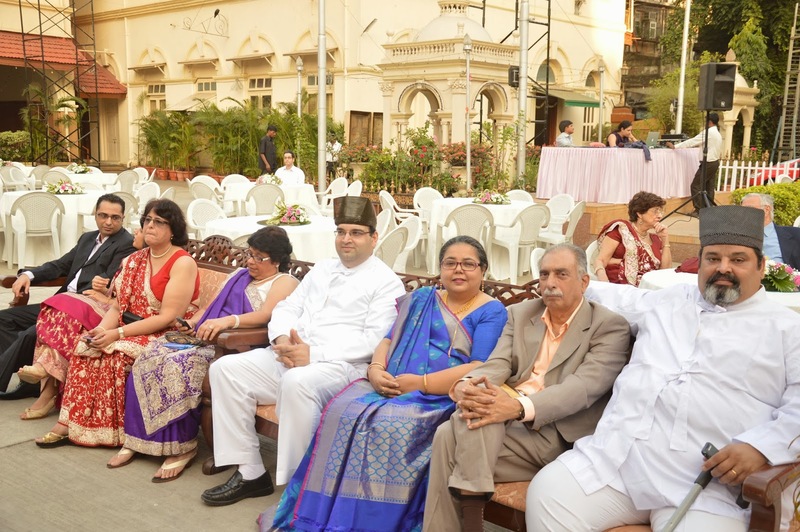 Earlier this month on 16th December 2013 we gathered at the Albless Baug grounds at Charni Road for Friyana's Navjote. My aunt is a Parsi and I have always been fascinated by the customs. Lovely photos! Amazing… I did not know such a ceremony existed. 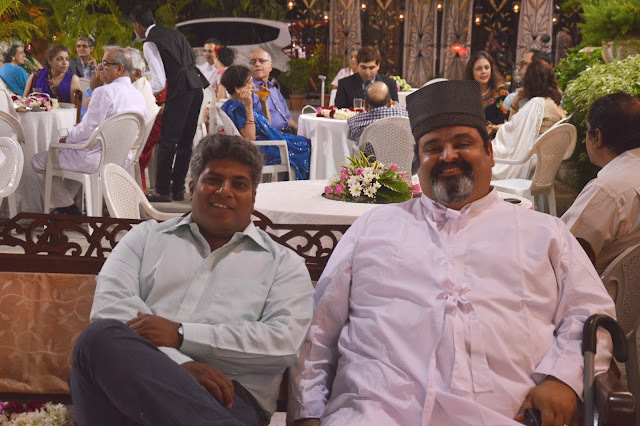 Clearly, I know every little about Parsi customs. Want to visit one of these places when in Mumbai next. 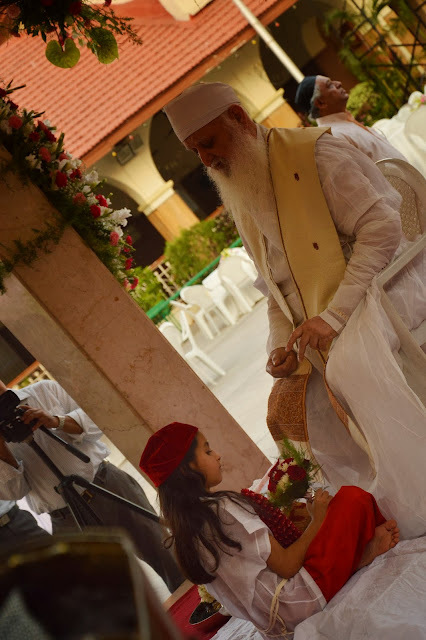 Such a lovely ceremony to be a part of. Makes me almost wish I was a Parsi especially with all the lovely food that must have been served here. 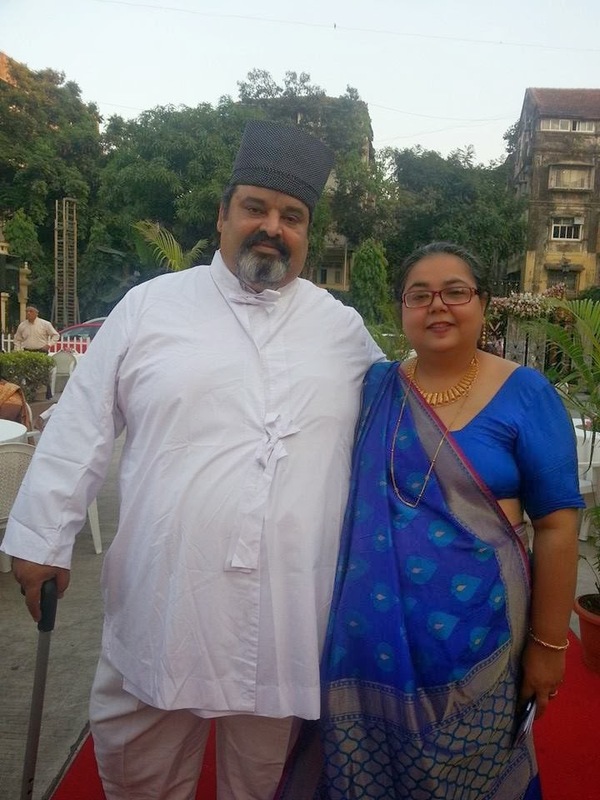 a parsi "bat mitzvah" thanks for sharing - and you and K look so elegant and happy. PS are there special foods that are served? would love to know the menu. Did you cater it as well?